No serious injuries were reported, although the families affected by the fire have lost everything and all donations are welcomed. 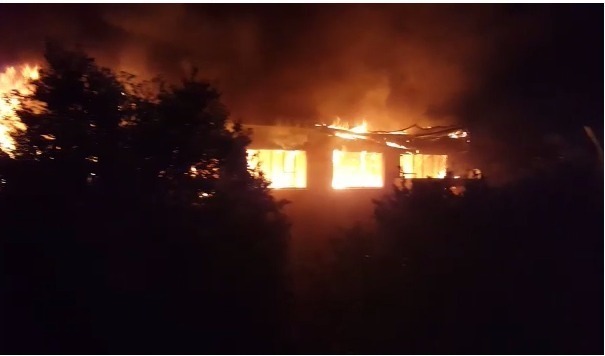 A devastating fire ripped through the Hilton Court apartments in Eastleigh on Tuesday night, reports Bedfordview Edenvale News. It is believed a total of six units were destroyed in the fire. In an effort to assist the residents affected by the fire, two drop-off points for donations have been set up. Residents wanting to donate goods can drop items off at the NG Kerk in Edenvale situated at the corner of Seventh Avenue and Fourth Street until 1pm. Alternatively, residents can drop donations off at New Roof Properties situated at 32 Central Avenue, Eastleigh. The families affected by the fire have lost everything and all donations are welcomed.